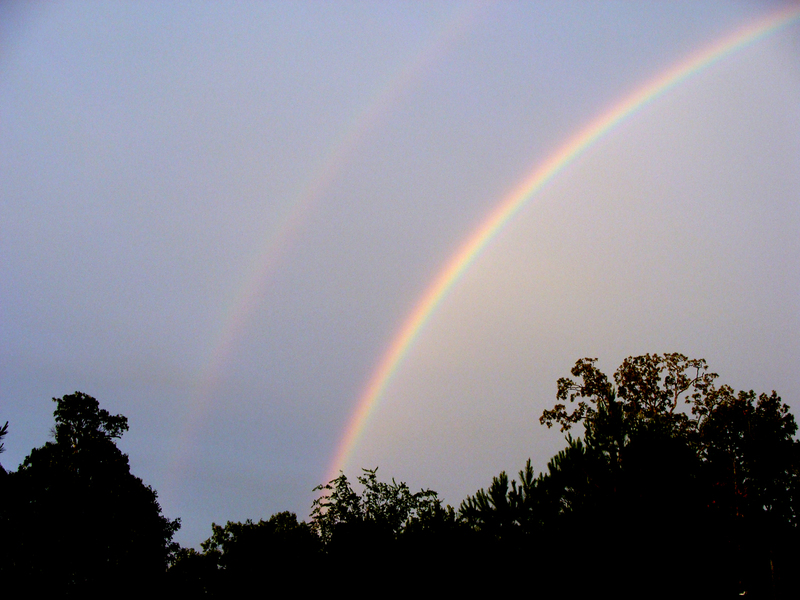 SEEING DOUBLE -- Another shot of the amazing July 13 rainbow. 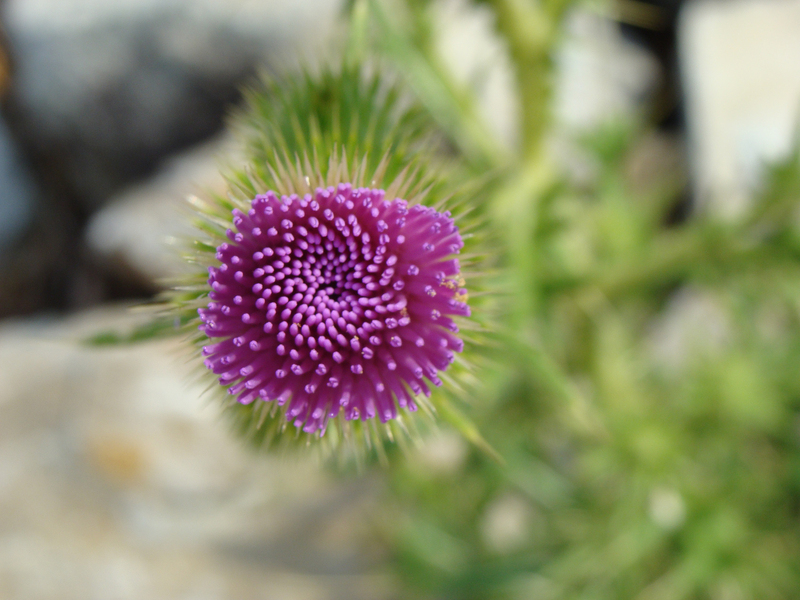 KISS OF PURPLE -- The thistle beckons visitors. 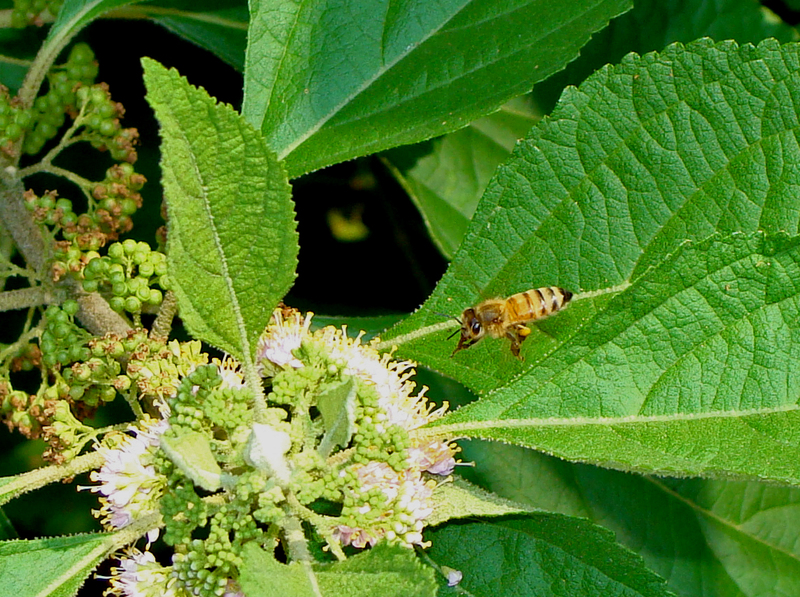 A honeybee visits the flowers on a French mulberry. Honeybees and other pollinators are having a hard time this summer with temperatures consistently near or exceeding the 100-degree mark. SAC O' POLLEN -- A honey bee carries a cargo of pollen as he makes his rounds on one of the few summer days when the temperatures were not near 100. 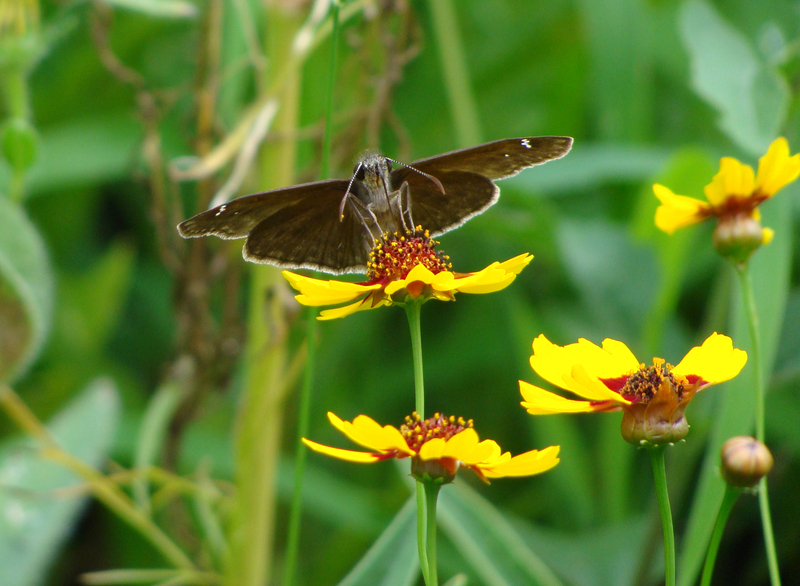 VISITOR -- A firewheel gets a visit from a long-nosed butterfly. According to entomologists at the University of Florida, the Io moth caterpillar, Automeris io, has a row of tubercles with spines that connected to poison glands. This insect can have two generations a year and overwinters in the pupal stage. Did not know any of this when I took the photo and am glad not to have picked him up. ANIMAL OR VEGETABLE? 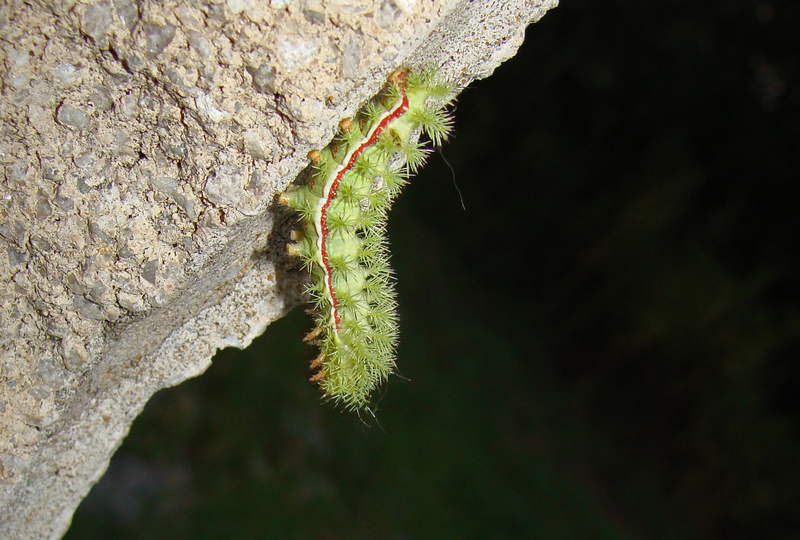 -- An io moth caterpillar explores is world. Tarantulas are beautiful creatures. Because of their round bodies, thick legs and hair, they almost seem cute, in an arachnoidal (is that a word?) way. 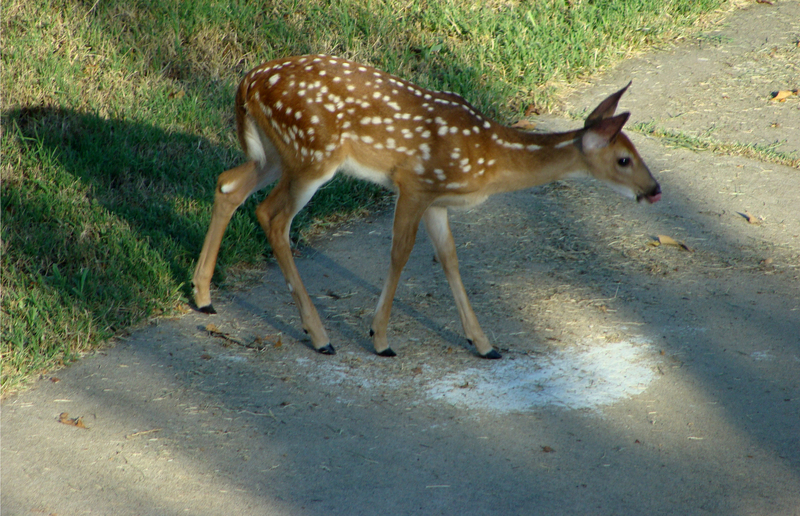 This little one was on the sidewalk this morning as I made the rounds with the mower and weed whacker. He was about an inch and a quarter in diameter. Jumping spiders are also cute, with their fuzz and their big eyes, but tarantulas take the cake. 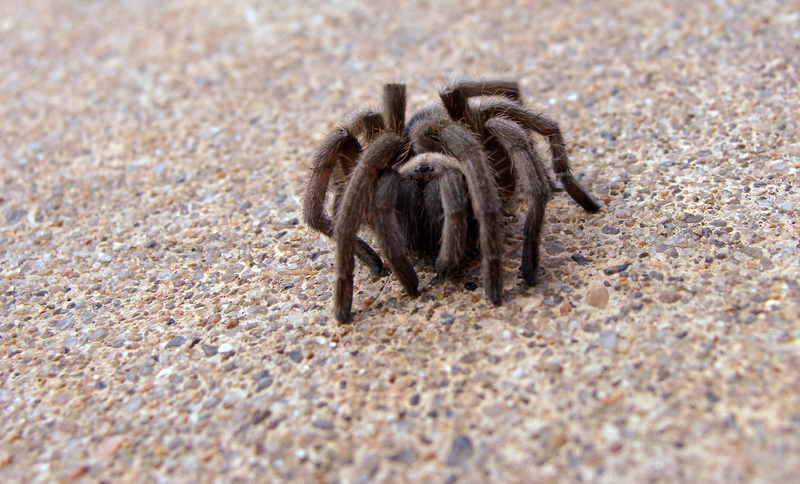 FUZZY -- A small tarantula on the sidewalk. Days of drought were interrupted by a pair of popup thunderstorms. The light from the setting sun hit the mist left by the storm creating a beautiful yellow light. It was a given I’d run out with the camera. The picture hardly captures the beauty of the sunset. Took the shot and turned to go and download it to the computer. That’s when I looked east and was stunned by a beautiful double rainbow. 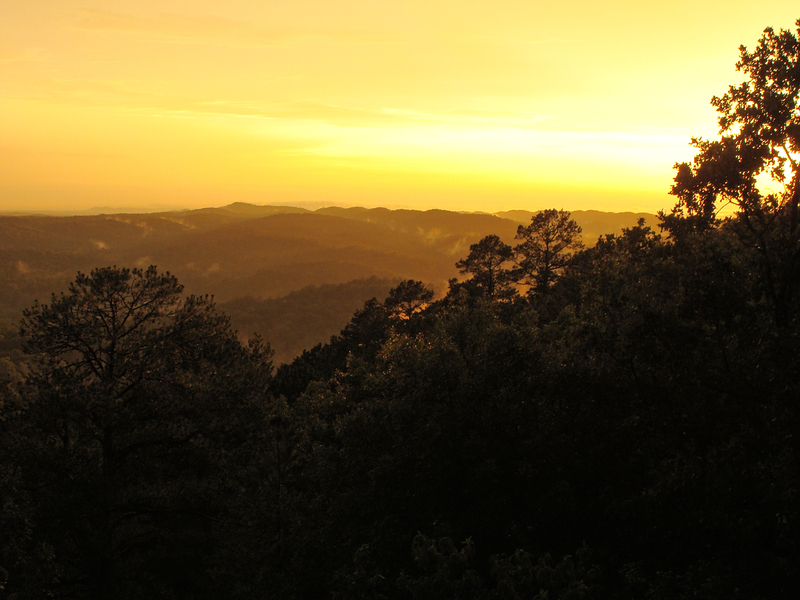 YELLOW -- Setting sun meets mist left by a summer storm. 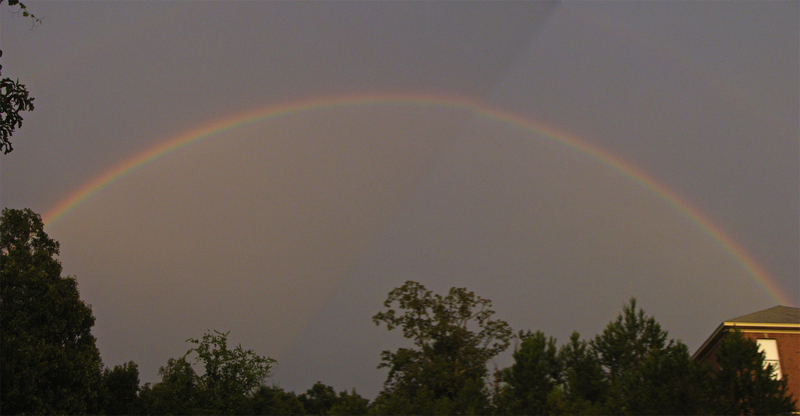 ARC -- Rainbow crosses the sky -- a Photoshop stitched image. 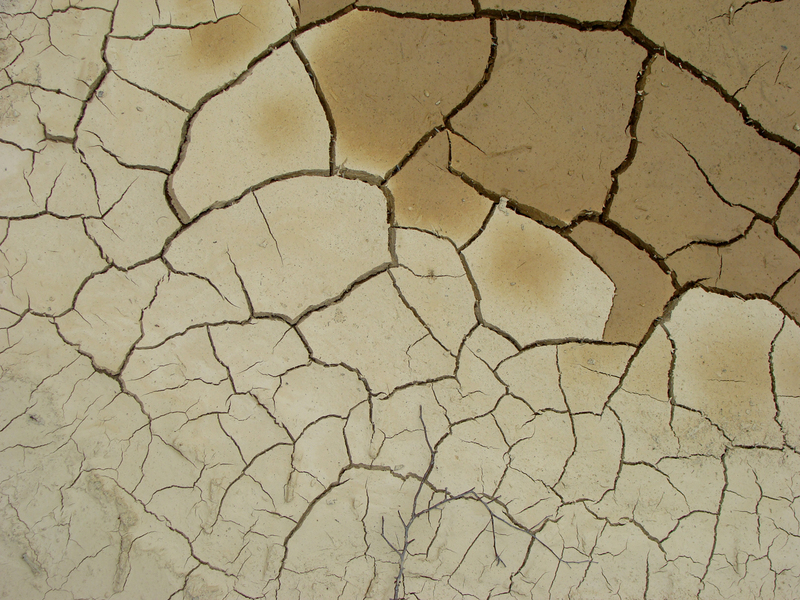 Arkansas is going through a bit of a dry period, not uncommon in the summer time. However, summer is also good at cooking up pop-up thunderstorms. 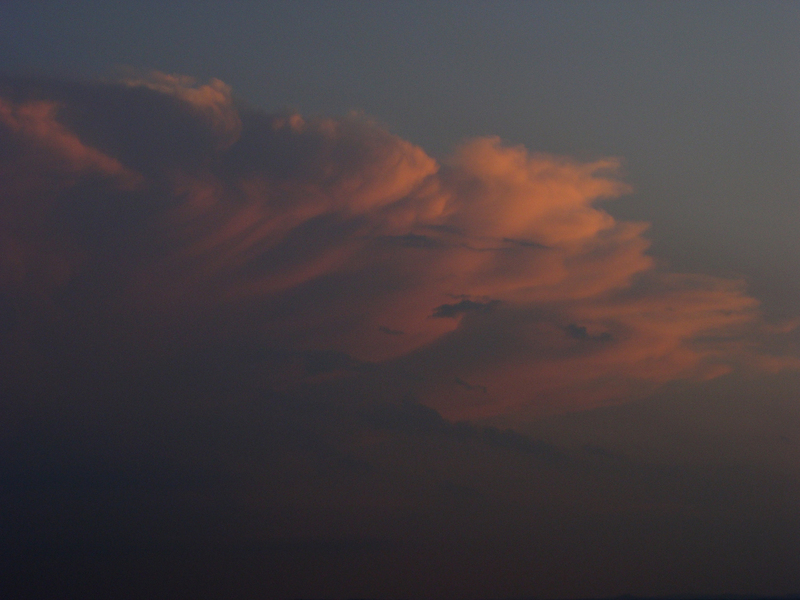 This anvil skirted about 30 miles to the south of Little Rock. Its roiling water vapor beautifully lit by the setting sun. FADING LIGHT -- Whatever fire and thunder this storm had was softened by the light of the setting sun. FADING FAST -- The last of the moisture from the previous week's storms evaporates from the cracked, dried mud of this former puddle in a clearcut area. A July 4th ride in the more isolated areas of Perry and Saline counties yielded some interesting sights. 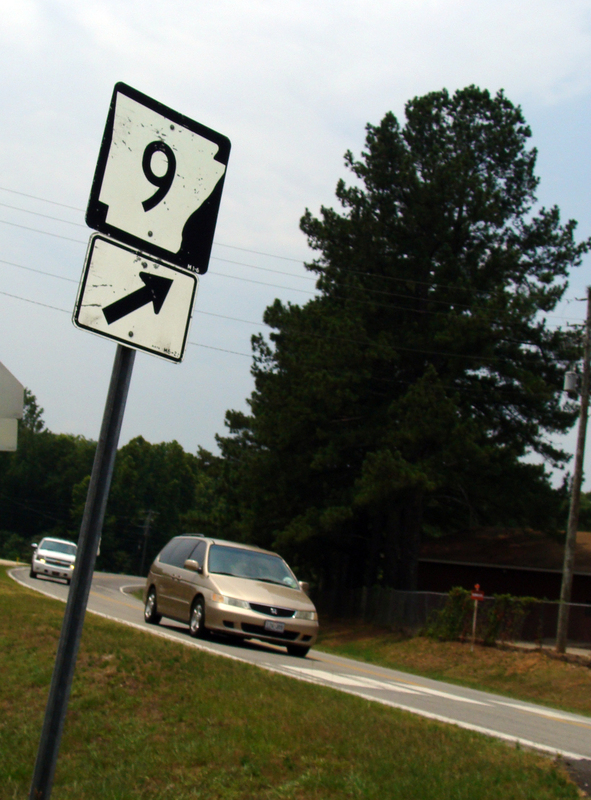 HWY 9 -- Highway 9 meanders around part of the Ouachitas connecting Hwy 10 at Williams Junction at the north end to Hwy 5 at Crows in the south. 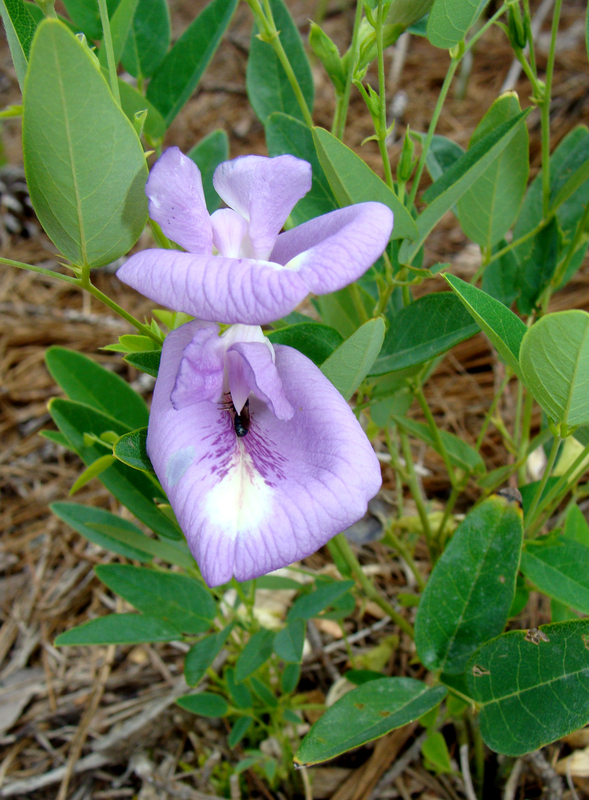 FLASHY FLOWER -- This butterfly pea was a bright spot in a freshly harvested pine forest. 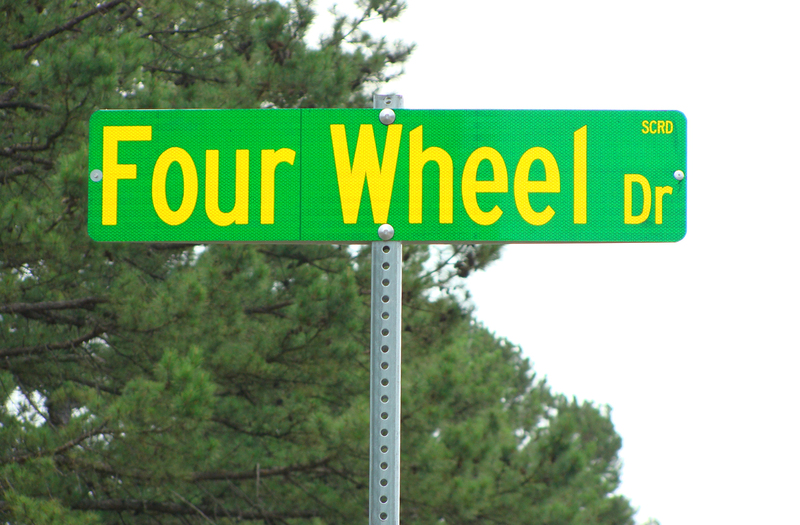 TRUTH IN ADVERTISING -- Tongue in cheek street sign in Saline County hints at what's beyond the pavement. 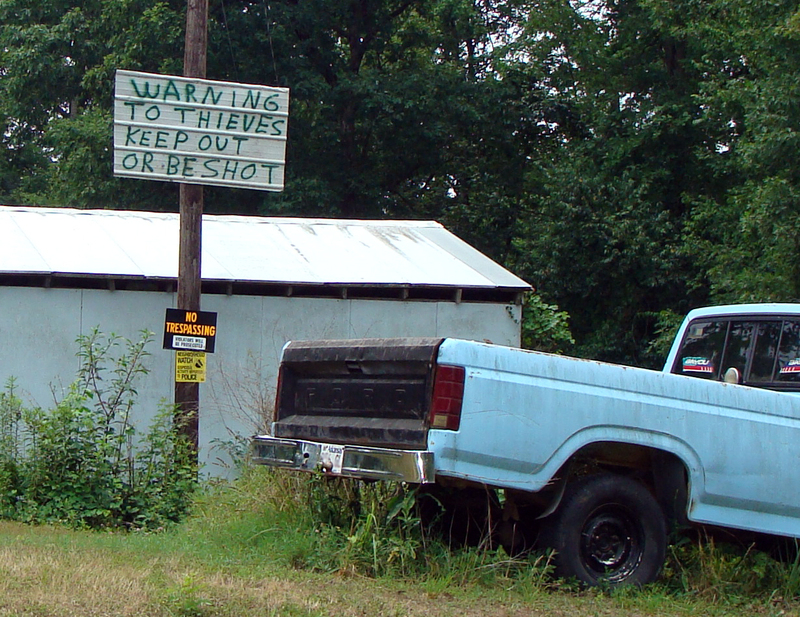 YOU HAVE BEEN WARNED -- Response times are a little longer in isolated areas. An example of a DIY security system. We had a pair of Sunday visitors today, a beautiful healthy doe and her speckled fawn. 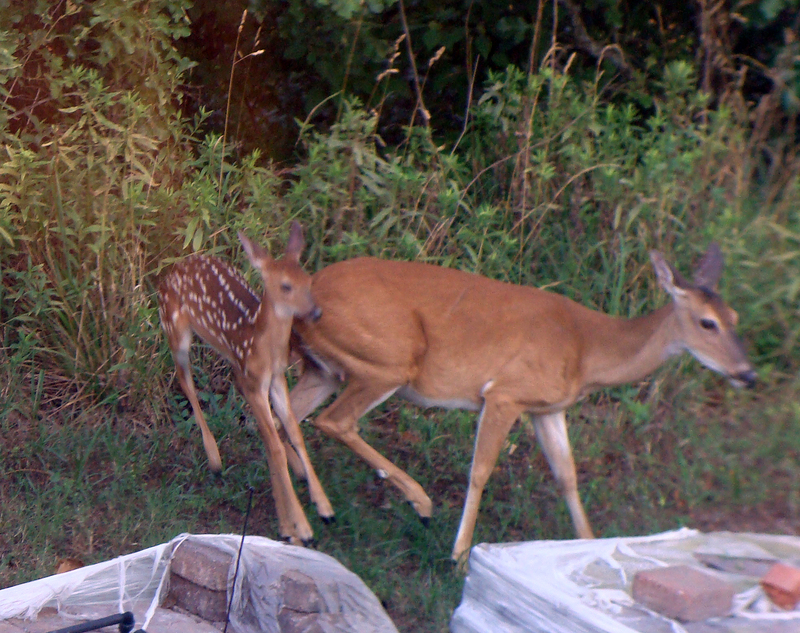 They grazed up the south slope under our bedroom window, then continued breakfasting westward toward our well house. 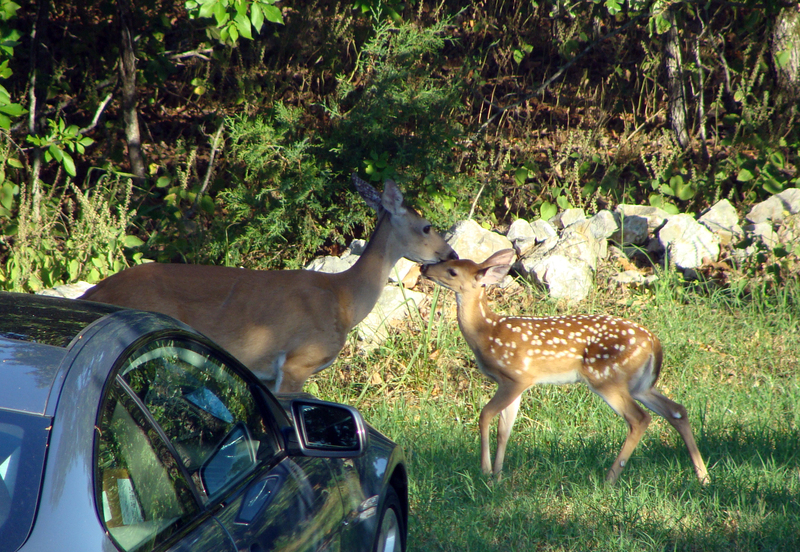 After about 15 minutes, the pair turned south back into the woods. YOUNG BUCK -- A fawn bucks playfully, bouncing off his mom, giving her a bit of a start. 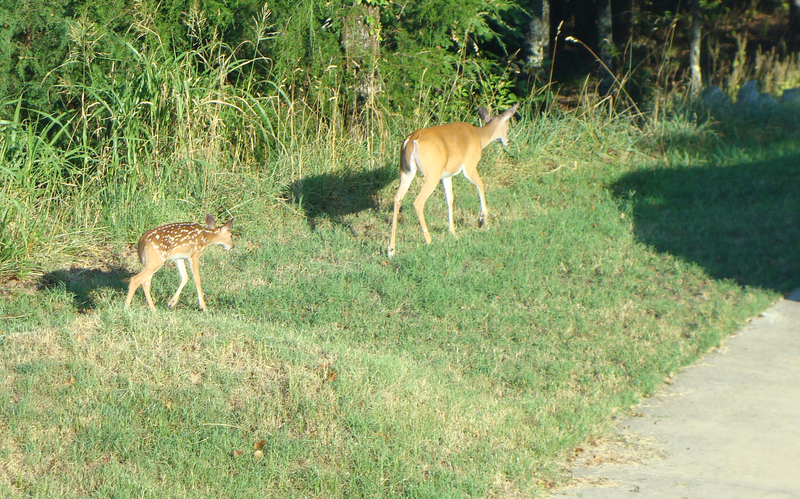 EXPLORING -- A fawn explores the driveway while mom browses. SINGLE FILE -- Doe and fawn walk single file to browse in the shade. KISS -- Baby gets a little reassurance from mom.